Men's relaxed-fit, lightweight plaid shirt. 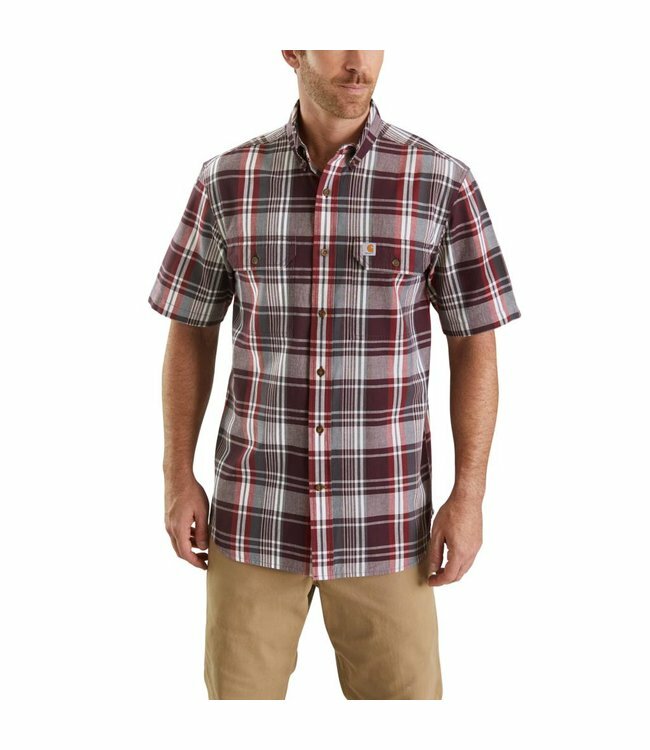 Lightweight yet durable, this men's short-sleeve plaid button-down keeps you comfortable on the clock or off. The shirt is made of all-cotton chambray that's been pre-washed for a true fit.